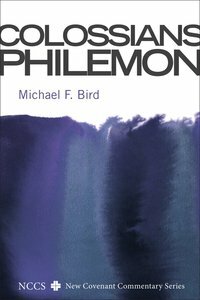 About "Colossians and Philemon (New Covenant Commentary Series)"
Michael F. Bird (Ph.D., University of Queensland) is Lecturer in Theology at Ridley College, Melbourne. Previously he has lectured at the Bible College of Queensland, and tutored at Highland Theological Institute in Dingwell, Scotland. He is a member of the Studiorum Novi Testamentum Societas, the Institute for Biblical Research, the Society of Biblical Literature, and the Tyndale Fellowship. - from William Dumbrell's commentary on Genesis 1-11. A stimulating and enlightening companion on the journey of reading this foundational section of the scriptures. - from the foreword by Dr Peter Jensen.